A doughnut pan can be your best fried when trying gluten-free recipes. 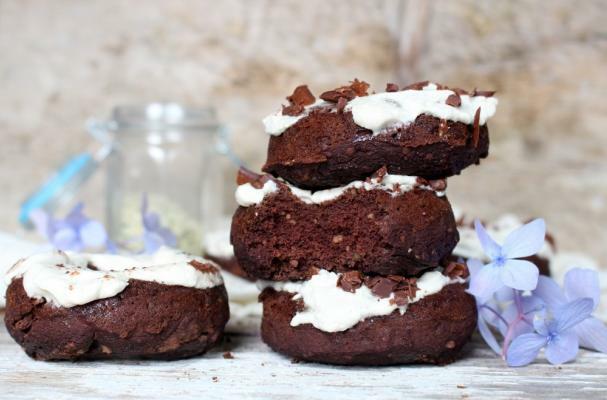 These chocolate cake doughnuts with vanilla icing from Chronicles of Passion are the perfect example of how gluten-free baking can be made easy with the right tools. When preparing these doughnuts, I suggest going grocery shopping at a store that carries several gluten-free flours so that you can purchase all the ingredients needed at once. If you frequently bake gluten-free then chances are you already have most of the supplies in your pantry. Aside from gluten, these particular chocolate doughnuts are also free from refined sugar and have protein. Enjoy these treats for breakfast, dessert or even a midday snack.